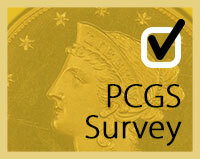 PCGS eCollector | Got Milk? 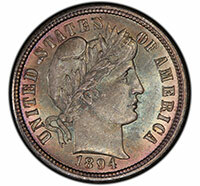 What coveted coin would you add to your collection? 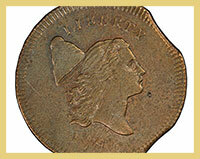 Numismatic Expert Mike Sherman’s third installment of “Difficult to Grade Coins” delves into the inherent mint issues of pre-1816 copper coins. Learn how clipped planchets, off-center strikes and dismal working conditions are the hallmark of many of these coppers. Catchy slogans like “Got Milk” can be brand-building gold. Of course, not all brands are lucky enough to be driven by clever taglines. Take the U.S. Mint, for instance. 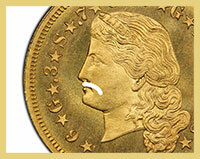 The Mint has built a brand of solid gold by exemplifying other successful branding components. 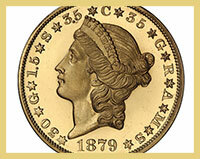 PCGS Price Guide Editor Jaime Hernandez discusses this success. Spectacular coins like this extremely rare 1879 Pattern $20 Judd-1643, popularly known among numismatists as a “Quintuple Stella,” are featured in Legend Auctions’ Regency Auction XVII, which is currently open for bidding. One of only a small number struck, there are currently only five accounted for, including one that is ensconced in the National Numismatic Collection at the Smithsonian Institution. School is back in session, and our educational coin grading series, “Coin Grading 102,” is back with its latest installment: “Grading Proof Coins.” Check out this recap of the latest video before you tune in for the full experience. 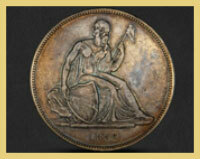 L&C Coins If you could add any one of these coveted coins to your collection, which would it be?